After its surprisingly successful first year in NAIA university basketball…15-14 record and second in conference…head coach Brad Rogers was fired…and the program is now re-booting. The University of Antelope Valley hired a new assistant basketball coach, the school announced on Thursday. 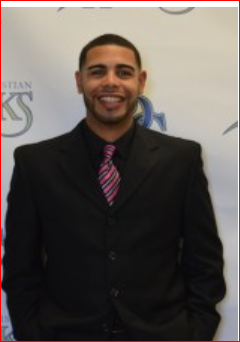 Jonathan Ramirez joins the University of Antelope Valley’s basketball coaching staff, first-year coach B.J. Porter said in a release. Ramirez coached at San Diego Christian in the Golden State Athletic Conference the previous two seasons. "I am very excited to have Coach Ramirez join our UAV family," Porter said. "I love his energy, hard work and passion that he brings for the game. I also have no doubt he will be a valuable asset to the Antelope Valley community both on and off the court." Ramirez was a coach at Cuesta College for one year and at Allan Hanock Junior College for one year. He played basketball and baseball at Allan Hancock Junior College and Corban University in Oregon. "I’m honored to be a part of the UAV community," Ramirez said. "I believe this institution is going in the right direction, and Coach Porter is going to make this place a powerhouse. I am just happy to help with this program, and I am looking forward to the future." Shelton Boykin Visiting Pro Teams?